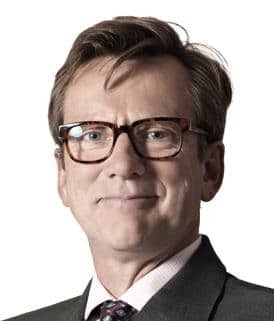 The former head of construction at City giant Norton Rose Fulbright has turned his legal consultancy into an alternative business structure (ABS), but has had difficulty finding a non-lawyer professional partner of similar standing to link up with. Christopher Hill, who has 25 years’ experience advising in contentious and non-contentious aspects of construction and infrastructure projects, said he applied for the ABS licence hoping to find a partner within the construction-related professions. His consultancy, City-based Clark Advisers LLP, received its licence from the Solicitors Regulation Authority (SRA) last month, effective from 1 March 2014. As the business’s principal, he is both head of legal practice and of finance and administration. He said he had been running Clark Advisers for about a year and had picked up new clients as well as receiving work from “clients that I had in my old firm”. Although he had sufficent work, seeking SRA regulation meant “I’m starting to get a bit more ambitious about it”. However, the dilemma was that “as long as I’ve got enough work to absorb my own hours, there’s no point me being in partnership with anybody who can’t earn the same kind of rate… as long as I’m working as much as I want to work, there’s not much point in me trying to find someone who can feed me work”. He was hopeful he might find a partnership with “people who were formerly lawyers and who’ve now got other roles in property, who are trying to make a way in real estate finance”. Such a link up might make sense “because we could appear with an offering to a developer who hasn’t got the knowledge to put all the bits of his deal together”. Mr Hill worked at Norton Rose for 15 years and served as interim head of its Middle East practice. Before joining the firm he spent 10 years in-house for a major contractor, as a lawyer and divisional director. His recent experience includes acting for the purchaser of Battersea Power Station from receivers and for a Japanese contractor in a US$600m (£367m) dispute arising from the construction of the Dubai Metro.